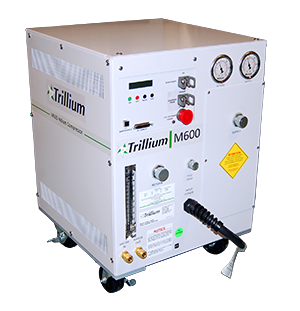 The Trillium M600 Helium Compressor is an advanced cryo compressor capable of driving an industry leading number of cryo pumps and coldheads. Refer to the compatibility matrix below for more information. 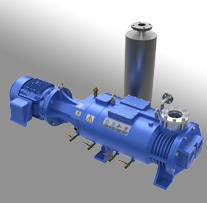 Available in a range of 3 phase voltages and air or water cooled configurations, the M600 offers the versatility required to meet a wide range of facilities and utilities requirements. The M600 also boasts best in class features, such as both supply and return helium pressure gauges, integrated LCD to display health and status information, water flow indication, and USB output. 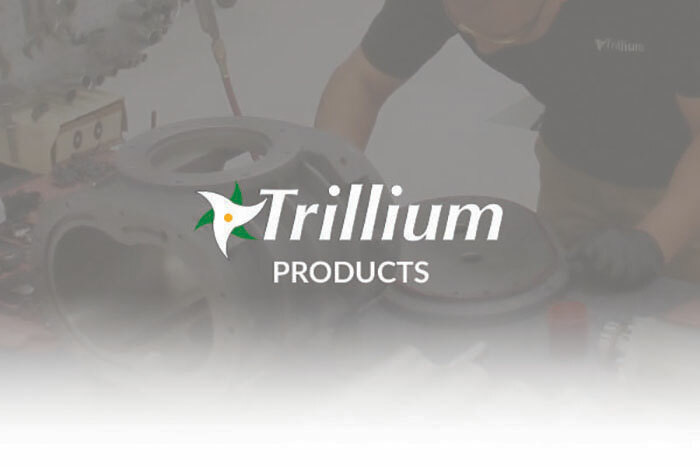 If your M600 requires service, Trillium maintains world class repair capability, spare parts and technical support for this and our other helium compressor models. Order the correct M600 for your application by part number as follows.